After discovering the seaweed snack ‘Selwyn’s Seaweed Sandwich’ reviewed here, I wondered whether there were any more out there. My search didn’t take long and the first one I found is made by Itsu. I love Itsu Japanese restaurants and there’s always plenty to choose from when looking for lower calorie options. 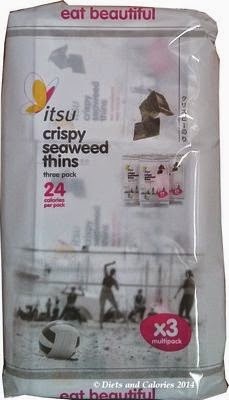 Itsu’s seaweed snack is called ‘Crispy Seaweed Thins (the sensational new snack)’. 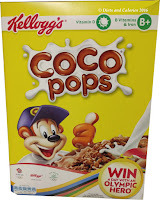 They’re sold in multi packs of three x 5g, and each snack has a mere 24 calories! Opening up the main bag, there are three individually wrapped snack packs. Taking one of these out and opening it up, there is a clear container holding the little sheets of seaweed. There is also a small moisture absorbing packet in there. I was prepared for this after my somewhat naive experience with the Selwyn’s seaweed sandwich snack where I thought it might be some sort of topping. Now I know better. It’s in there to keep the seaweed sheets nice and crunchy until the pack is opened. 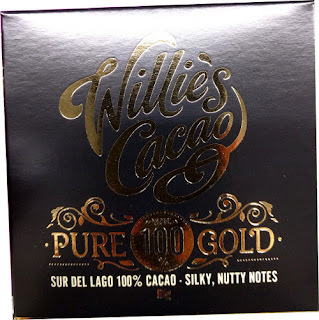 There are warnings to not eat the contents! There are 12 wafer thin sheets, each one measuring 8cm x 6cm or 3 inches x 2.25 inches. They have a texture a bit like rice paper and they don’t flake off and make a mess when you eat them. If you like eating sushi, you may enjoy these. 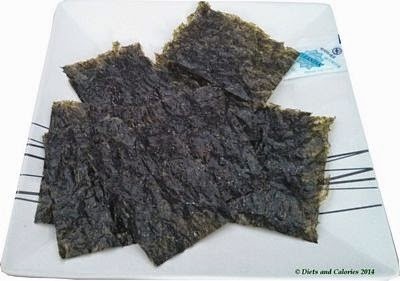 They’re basically like the sheets of nori which wrap around the rice part of sushi, except it’s crisp. The outside is slightly oily with just a light dusting of salt which isn’t ovepowering. They do leave your fingers a bit greasy so it’s advisable to have a tissue or something handy. I liked these. They take a little getting used to as a savoury snack, but the taste really grew on me. With 12 sheets inside, I didn't even get through a whole pack during one snack break. They are satisfying as well. The fact that they only have 24 calories makes me like them even more. 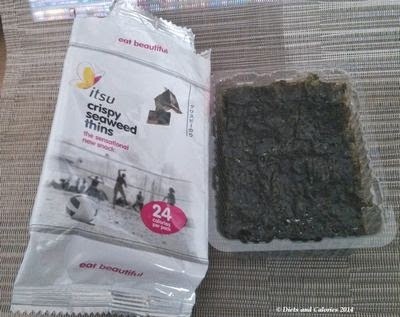 Itsu Seaweed Thins cost £1.75 for a pack of 3 in Ocado or £1 for an individual pack – sold in Ocado, Tesco, Waitrose and independent health stores. Other varieties are Itsu Crispy Seaweed Thins Wasabi flavour. 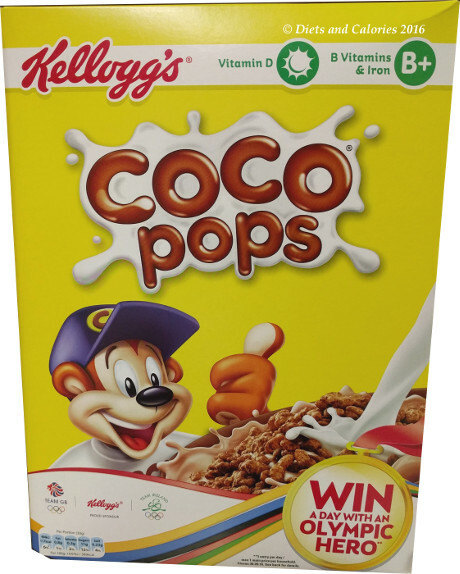 Nutrition Information: per 5g pack: 24 calories, >0.5g protein,0.4g carbs, trace sugars, 1.6g fat, 0.2g saturates, 0.9g fibre, 0.30g salt. Suitable for vegetarians. Ingredients: Seaweed (Laver) (65%), Olive oil, sea salt. Can anyone tell me how much iodine in each pack of Itsy crispy seaweed, please.You get all dietary contents but not the iodine content which is more important to me.